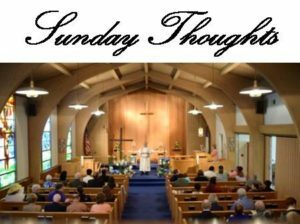 This coming Sunday (February 10) is the Fifth Sunday after the Epiphany, if you like being wordy. If not, it is Epiphany 5. It is also the Commemoration of Silas, Fellow Worker of St. Peter and St. Paul. While Timothy had delivered Paul’s first letter to the Corinthians it was Silas (also known as Silvanus) who delivered his second letter. Apparently Silas had become Paul’s new deputy. He plays an important role in the Corinthian correspondence from this point on. Titus is not mentioned by name in Acts, but he is frequently referred to in Paul’s letters. Titus was born of Gentile parents (Galatians 2:3) and was perhaps a native of Antioch, since he was in the delegation from Antioch to Jerusalem (Acts 15:2; Galatians 2:1-3), and he may have been converted by Paul (Titus 1:4). He and a companion were sent to Corinth after 1 Corinthians had been delivered there, because of reports Paul had received about that troubled congregation. The mission was a delicate one. Paul had expected to meet Titus at Troas (2 Corinthians 2:12-13), but instead Titus met him in Macedonia with good news (7:6, 13-14), and he returned to Corinth with Second Corinthians (8:6, 13, 23), where he apparently stayed for some time. The epistle to Titus gives the information that Titus had been left on Crete to oversee the organization of the churches there. Titus’s mission to Dalmatia is alluded to in 2 Timothy 4:10. Sometime after his stay in Corinth, Titus apparently joined the apostle Peter, likely serving as Peter’s secretary (1 Peter 5:12). One early tradition says that Titus was the first Bishop of Corinth. Another one says he was the first Bishop of Crete. He apparently died of natural causes at an old age. We will remember him in our prayers Sunday. I read, in the WSJ, about the resurgence of ISIS in Nigeria. As there are over two million fellow Lutherans in that country (not counting other Christians), we will remember them in our prayers. We will also remember Mali and the Philippines, who are facing the same problem. We will be using the second setting of our morning service (Divine II), LSB 167. We will configure it as a Service of the Word, meaning we will use the Psalm of the Day instead of the Introit, drop the Communion elements, end with the Apostolic Benediction instead of the Aaronic Benediction, and use the Apostles’ Creed. We will be singing three hymns Sunday. Our opening hymn will be “Hark, the Voice of Jesus Calling” (LSB 827). Our sermon hymn will be “Hail to the Lord’s Anointed” (LSB 398). Our closing hymn will be “God of Grace and God of Glory” (LSB 850). Initial Thoughts: This lesson recounts the call of Isaiah. He lived and worked around Jerusalem. His ministry began the year King Uzziah died, which was 740 BC. At this time Assyria was the rising world power and that empire would wind-up conquering and deporting the Northern Kingdom of Israel. Isaiah foresaw this. They would also attack Judah and Jerusalem, but fail in their efforts. Isaiah foresaw this also. We could go on with how Isaiah foresaw the rise and fall of Babylon, the deportation and return of the Jews, the rise of the Medes and Persians, the virgin birth of Jesus, our Lord’s atoning death, and much more, but that all takes us rather far a field of this reading. In this lesson the holiness of God comes through loud and clear. The root meaning of “holy” is to be separate. God is separate from us because he is pure, without sin. This is what distresses Isaiah. He knows that he is not pure, he is not sinless. As such, he knows that entering in the presence of the holy God can mean only death (Isaiah 35:8; Revelation 21:27). However, Isaiah need not fear because there is forgiveness in God. The focus on the mouth of Isaiah has at least two accents. First is that our language is very hard to control. We offend both people and God with our mouth (Job 20:12; Jeremiah 9:3; James 3:8; 1 Peter 3:10). Second is that he will be a prophet, speaking for God. Once he has received forgiveness, Isaiah is eager to serve. The closing verses look forward to the exile of Judah, but all is not hopeless. Indeed the phrase “The holy seed is its stump” looks forward to the coming of Jesus. The word “seed” picks up the theme of Genesis 3:15. The idea of a stump is that a tree (Judah) had been chopped down, but from that stump sprouts the stem of Jessie (Jesus). There is so much Gospel in the book of Isaiah it is sometimes called the fifth Gospel. If you have never read it, I highly recommend you do so. Initial Thoughts: This is one of David’s Psalms (he wrote about half of the Psalms). He begins by stating the obvious. Nothing is greater than the true God. This is especially true when you compare the true God to the idols of men. One need think only of the contest between Elijah and the prophets of Baal. The wonderful thing about the true God is his steadfast love. He never withdraws it. Therefore David worships him. Notice the accent on corporate worship in verse 2. Believers gather in corporate worship to praise the true God. Notice also the global nature of the Church’s calling in 4. Another remarkable thing David notes is how God favors the humble. The arrogant do not enjoy this favor. These humble believers are vindicated by God. They are the work of God’s hand. 12b[S]ince you are eager for manifestations of the Spirit, strive to excel in building up the church. 13:1 Therefore, one who speaks in a tongue should pray that he may interpret. 14For if I pray in a tongue, my spirit prays but my mind is unfruitful. 15What am I to do? I will pray with my spirit, but I will pray with my mind also; I will sing praise with my spirit, but I will sing with my mind also. 16Otherwise, if you give thanks with your spirit, how can anyone in the position of an outsider say “Amen” to your thanksgiving when he does not know what you are saying? 17For you may be giving thanks well enough, but the other person is not being built up. 18I thank God that I speak in tongues more than all of you. 19Nevertheless, in church I would rather speak five words with my mind in order to instruct others, than ten thousand words in a tongue. Initial Thoughts: Picking up the theme of speech introduced in our reading from Isaiah, Paul speaks of the proper use of our tongue. That proper use is to use our speech in love, to build up the Church. 5:1 On one occasion, while the crowd was pressing in on him to hear the word of God, he was standing by the lake of Gennesaret, 2and he saw two boats by the lake, but the fishermen had gone out of them and were washing their nets. 3Getting into one of the boats, which was Simon’s, he asked him to put out a little from the land. And he sat down and taught the people from the boat. 4And when he had finished speaking, he said to Simon, “Put out into the deep and let down your nets for a catch.” 5And Simon answered, “Master, we toiled all night and took nothing! But at your word I will let down the nets.” 6And when they had done this, they enclosed a large number of fish, and their nets were breaking. 7They signaled to their partners in the other boat to come and help them. And they came and filled both the boats, so that they began to sink. 8But when Simon Peter saw it, he fell down at Jesus’ knees, saying, “Depart from me, for I am a sinful man, O Lord.” 9For he and all who were with him were astonished at the catch of fish that they had taken, 10and so also were James and John, sons of Zebedee, who were partners with Simon. And Jesus said to Simon, “Do not be afraid; from now on you will be catching men.” 11And when they had brought their boats to land, they left everything and followed him. Initial Thoughts: The “lake of Gennesaret” is a different name for the Sea of Galilee. It was also known, in Jesus’ day, as the Lake of Tiberias. You can see the opposing shore when standing on the edge of this body of water. Peter, Andrew, James and John, were commercial fishermen. What that means is that Peter would have known that the suggestion of Jesus didn’t make since. Still, he obeyed. The word of God doesn’t have to agree with human reason. God’s ways are not ours. Notice that Peter’s response mirrors Isaiah. As Isaiah did, so Peter also recognizes that he is in the presence of the Divine and that he is not qualified to be so. He was not “holy.” However, just as in Isaiah, so now also Peter is to not fear. God forgives the repentant believer. Verses 10 and 11 have often been used in evangelism messages. In reality, this is Peter’s call, not a general call like the Great Commission at the end of Matthew. That being said, whenever we are part of reaching out with the Gospel, we are part of catching people alive for the Lord. Notice, this metaphor is build on the commercial fishing industry, not individual fishing for fun. They use nets, not hook and line. So it is much more suited for the work we do as the Church. When the Lord catches anyone through our corporate, Church, efforts, we are all part of it. Well, that is enough for now. Here more this coming Sunday.